Bhimnidhi Tiwari was born to a young couple Lalnidhi Tiwari and Nanda Kumari Tiwari in 1911. Lalnidhi Tiwari was extremely pleased as he had previously had no sons and organized the Indrasavha drama - an extravagant thing to do at the time - to celebrate the birth. Bhim Nidhi Tiwari grew up in a traditional home. His mother died when he was seven years old. His poem, called "Dagbatti", recounts his experience as a child the night he was taken to the ghat burning grounds, his head shaved, and his feeling when fire consumed his mother. When his father died, Tiwari had become 27 years old and his family's responsibilities came upon him. For 32 years he served as a government employee. First as a section officer in the Ministry of Education and afterwards an assistant secretary. In 1938, he established Nepal Sahitya Press which was later merged with Pashupati Press. In 1949, he established Nepal Natak Sangh - an organization that worked to uplift the status of Nepalese drama and literature. Tiwari represented Nepal in the East Asia UNESCO seminar which focused on copyright. In 1967, he accompanied his Late Majesty King Mahendra Bir Bikram Shah on a royal visit to the Netherlands, West Germany, and Karachi. The Russian government also invited him for a three week visit. Later, he visited London, Rome, and Delhi. Lalnidhi Tiwari was a great inspiration to his son's writings. Bhimnidhi Tiwari used to say: "The future of Nepalese drama is in doubt. Dramatists are not respected and actors and actresses are desperate." No doubt, after Bal Krishna Sama, Tiwari contributed much to the enrichment of Nepalese drama. Among his works are Sahanshila Sushila, Adarsha Jiwan, Putali, Kashiwas, Kishan, Nainikaram, Siddhartha Gautam, Nokar, Biwaha, Akanki Pallav, Satya Harishchandra, Aakanki Kali, Silanyas, Matoko Maya, Maharaj, and Indradhanus. Tiwari also wrote short stories, novels, poems, lyrics, and satires. He believed in social reform and wrote against smoking, drinking, and gambling. His work gives insight into Nepalese lifestyles, culture, mythologies, and history. Bhimnidhi Tiwari received many awards and prizes for his creations. "Yasashvisav" and the historical dramas, "Silanyas" and "Matokomaya" were awarded. He received the Madan Puraskar in 1970 and his Late Majesty King Tribhuvan honored him with the Prakhyan Trishakti Patta, Rajyabisekh Padak, and Gyanpad Sewa. 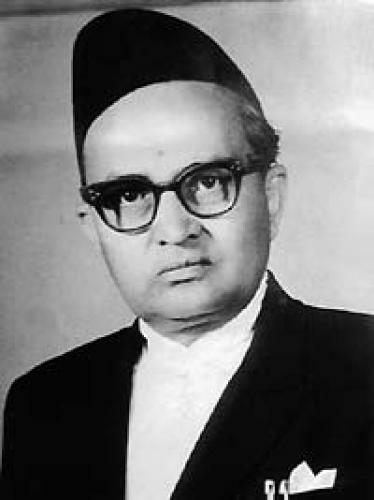 Tiwari died in 1956.